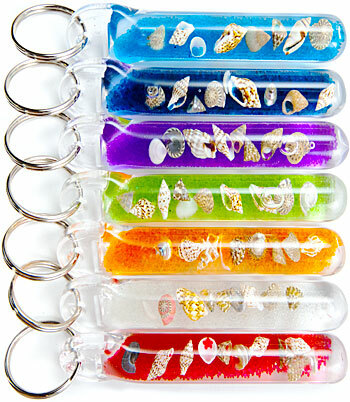 ∼ May ∼ 20 ∼ Glitter Wand Key Chains! When I was in high school, I had an awesome green glitter wand key chain with stars in it. Needless to say, that was quite some time ago and I think I lost that set of keys somewhere between New York City and Los Angeles. Well… I recently became OBSESSED with bringing back my retro, high school style… minus the braces and bangs! Happy Fashion Friday! 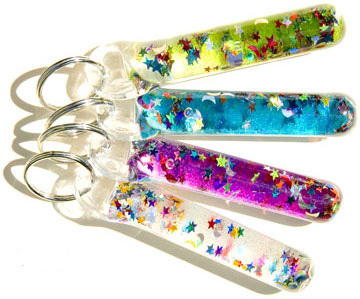 I came across this great website that carries the coolest glitter wand key chains! Zipnovelty.com makes some spectacular sparklers to keep you locking up in style! They make great gifts and come in a variety of colors and themes such as seashells, gemstones, lightening bolts, hearts and the traditional prismatic. Order a bunch! Have a fab weekend! OMG OBSESSED!